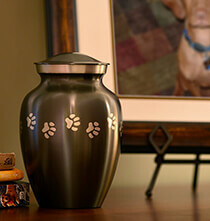 Celebrate the lives of those who have passed on with items from our personalized Remembrance and Memorial collection. 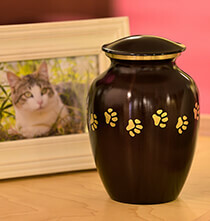 Here is where you can find tasteful items that honor the memory of family members, friends, work colleagues and beloved pets. 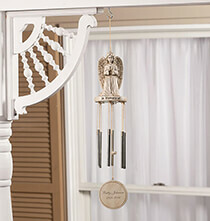 The personal touch gives each item an extra-special significance and many of these items make wonderful keepsake gifts. 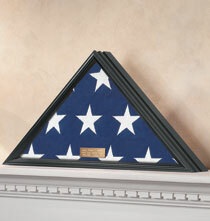 Display the American flag on a mantle or shelf to honor a veteran with any of our Veterans Flag Display Cases made of wood and acrylic. 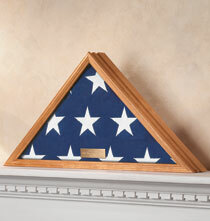 Large enough to comfortably hold a tri-folded flag, each case includes a plaque you can have us engrave with a name, rank and date. 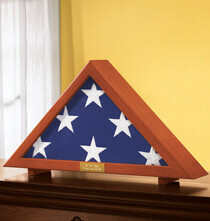 Heroes who acted bravely as fire fighters, police officers and soldiers can also be honored with personalized decorative photo frames. 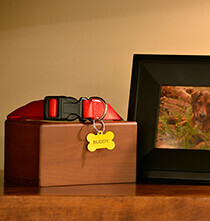 These thematic frames feature vibrant graphics and there’s plenty of room for your custom text. While frames are nice, it’s not possible to summarize a lifetime of memories in one photograph, which is why we offer luxurious photo albums. Select one of our high-quality leather albums and create a one-of-a-kind collection of treasured memories. Our best albums are made of the finest leather and they’re crafted with top-notch workmanship. 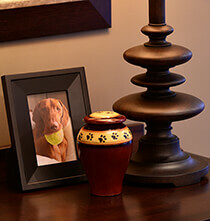 Albums in this collection feature exquisite details that standout and capture attention. In fact, these albums make nice coffee table displays for casual browsing. 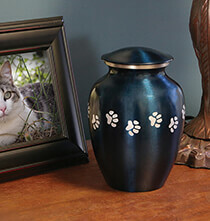 Photo memory albums are an easy way to enjoy memories of loved ones whenever the mood arises. 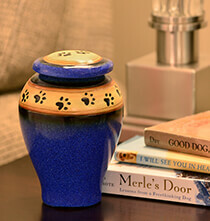 Protect treasured heirlooms received from grandparents, parents and other relatives by placing them inside personalized keepsake boxes. Find traditional and contemporary box designs made of wood, glass or metal. 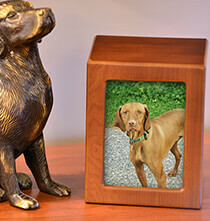 Display vintage photographs in large wall frames made of quality materials. When Christmas rolls around, decorate your Christmas tree with a lovely personalized ornament. 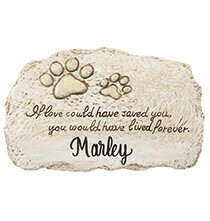 Customize your desired ornament with a loved one’s name and dates. This is a wonderful way to make them a part of your yearly holiday celebrations. 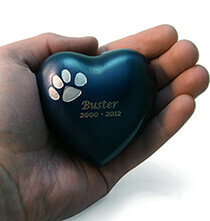 Beloved pets may be gone, but they’re never forgotten. 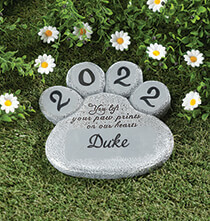 You can honor a pet with a decorative pet memorial stone featuring a heartwarming sentiment. The name of the pet appears in bold letters for easy reading.